I figured that I would go ahead and post the recipe for this cake while I'm still wearing it. I'm going to have to limit my Thanksgiving desserts to one cake. 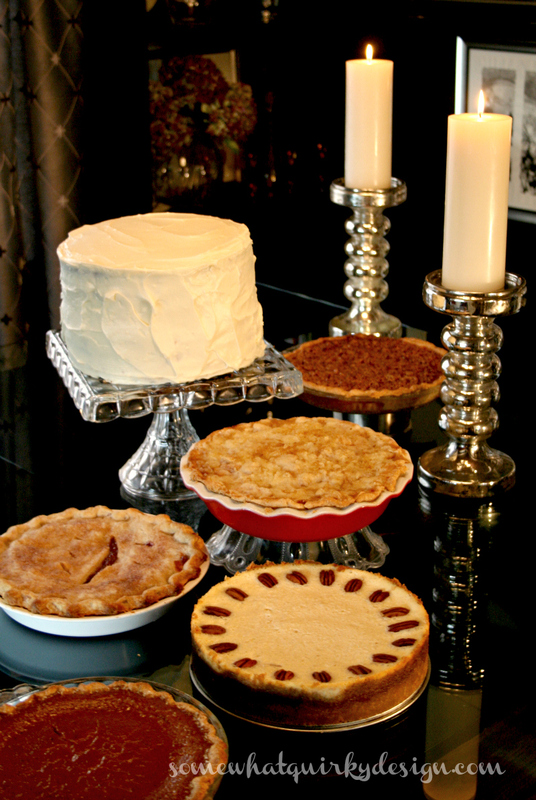 As many pies and short desserts as necessary, but multiple cakes . . . never again. I've made this cake before. The year I got this cookbook I made it for Thanksgiving. Mine did not look like this. Close - but no cigar. It is difficult to get 4 cake layers the same size. It is even more difficult to cut those layers in half and have all of those slices be the same size. Then you stack and ice them and there is a LOT of room for error. This is what it looked like when I made it in 2008. I hid it satisfactorily in the picture, but it was VERY crooked. Like maybe you could ski off of it. I actually threw a good part of it away. There just weren't enough people to eat it. This year for my birthday, Mr Quirky's mom gave me a cake slicer. This one to be exact. Just so I could split a layer of cake evenly. 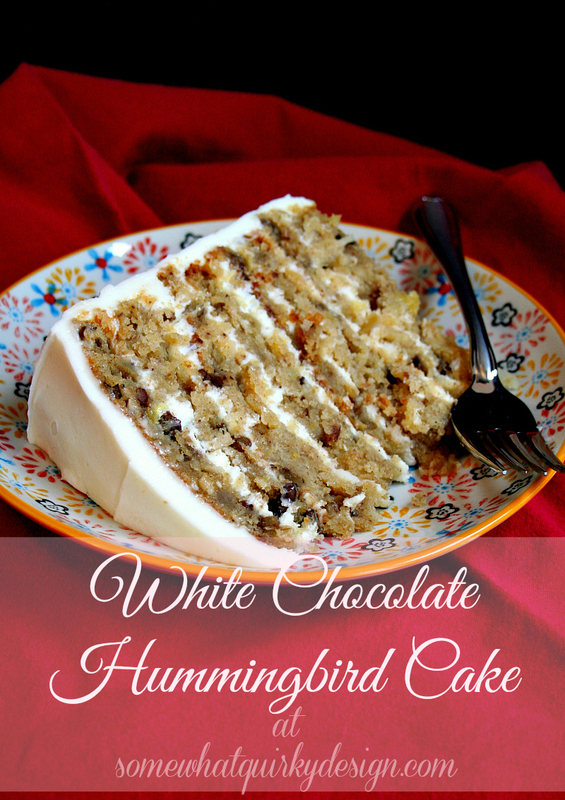 I was going to make the Hummingbird Cake again and this time it was going to be perfect. So I made the cake(s). And got out my cake cutter. It took me a bit of time to realize that this cutter is made for one giant cake. Not one that is cooked in 4 layers. So I used my cake cutting knife, that came with my cake cutter, and started splitting my 4 cake layers. Three of the layers split OK. But one of the layers hadn't raised evenly and was rather flat on one side and normal on the other. That didn't make for a very pretty slice. I probably should have just cut off the higher part and had a 7 layer cake and things would have been great. It ended up looking pretty good from the outside and pretty weird on the inside. The recipe came from Southern Living Homestyle Cookbook. 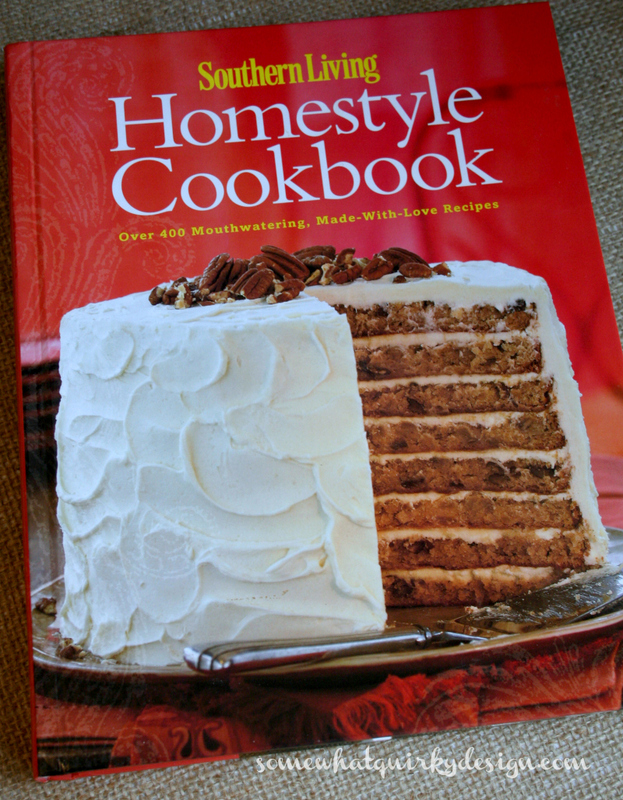 I've made several of the cakes from this book. Each one more decadent and delicious than the other. This cake is TWO cakes. Unless your cooking for the Prince of Wales there is really no need to make both of them. If I had remembered I would have split the recipe in two and made the cake this way. Also, if you have a rather small oven like me, and if you are making both cakes, split the recipe anyway and cook them one at a time. My oven just won't cook 4 layers of cake evenly. Thus the uneven layers. You refrigerate the layers overnight so it doesn't matter that they don't get cooked at the same time. 2. Drain pineapple, reserving juice for another use. Squeeze pineapple well using several thicknesses of paper towels to remove excess moisture. 3. 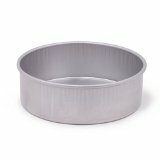 Combine cake mix and next 7 ingredients in an 8 qt mixing bowl. Beat at low speed with an electric mixer 2 minutes; beat at medium speed 3 minutes. Fold in pineapple, white chocolate, and next 3 ingredients. Pour batter into 4 greased and floured 9 inch round cake pans. 4. Bake at 350 for 34 to 36 minutes or until a wooden pick inserted in center comes out clean. Cool in pans on wire racks 10 minutes. Remove from pans to wire racks, and cool completely. Wrap and chill cake layers at least 1 hour or up to 24 hours. 5. 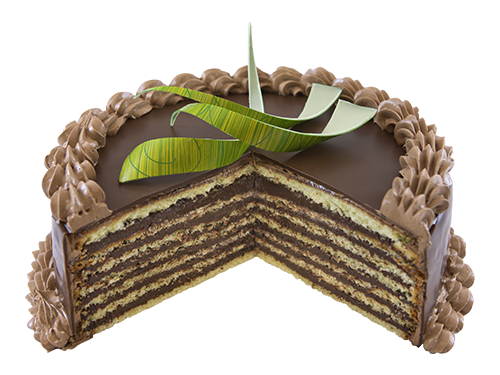 Using a serrated knife, slice cake layers in half horizontally to make 8 layers. Place 1 layer, cut side up, on cake plate. Spread with 1/2 cup White Chocolate Cream Cheese Frosting. Repeat procedure 6 times. Place final cake layer on top of cake, cut side down. Spread remaining frosting on top and sides of cake. Cover; chill in refrigerator overnight. Garnish, if desired. Store in refrigerator. I have heard that a lighter colored pan is the best for baking but I don't quite remember the theory behind it. The vintage pan performed WAY worse than the aluminum pan, and and worse than the calphalon pans. The calphalon pans are fine, but cooking with the pans altogether and seeing the difference right in front of me, has me planning to eventually buy 3 more of the aluminum pans. And I won't be cooking in the vintage pans anymore. The batter in the vintage pan only raised on one side. That could have been because of where it was in the oven, but the other pans were crowded as well and still managed to rise sufficiently. Also. If you are making cakes with nuts in the batter with the intention of splitting them in half, cut the nuts fairly small. 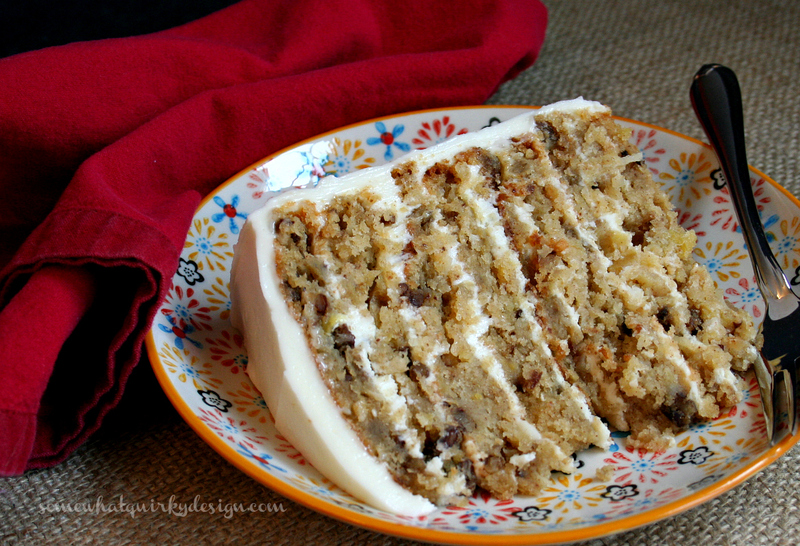 It is difficult to cut through a nut in the middle of two delicate layers of cake. If your cake splitting skills are as precarious as mine you want to make things as easy as possible. And finally. I cooked all the cake layers in the oven at the same time, but they did not all get done at the same time. One of the cake layers had to cook 7 minutes longer than the others. Another good reason to bake the cakes one at a time (mix then cook). Of course if you are lucky and have 2 ovens you can do them at the same time. Oh. And one more thing. Seriously, if you don't need a TON of cake, just make half the recipe and make a 4 layer cake. I promise it will still be delicious! Please send any or all cake failures to me!! They look delish even if you call the failures! I do not have the guts to even attempt something like that and you are determined to master it! You go girl! I don't care what it looks like, it absolutely sounds delish! Pinned - thank you! I remember reading long time ago that dental floss is a trick to cut layers - can't vouch for it though. I need to have a cake baking session with you so I can make pretties like you do. I mean seriously, like I care what the cake looks like, just put it in my open mouth! That's a lot of layers. Quite high indeed but quite beautiful.